Michigan could soon expand the lineup of legal fireworks that consumers can buy without special permits. 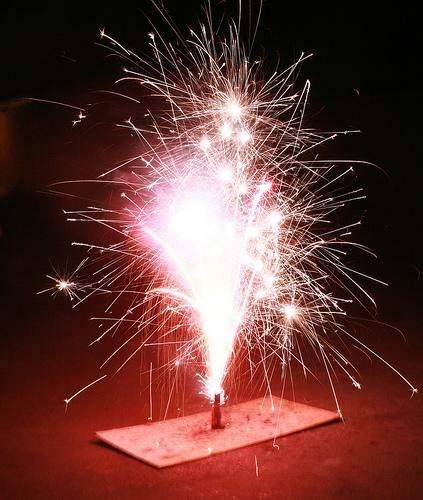 The state Legislature has approved measures that would allow some consumer fireworks such as firecrackers, bottle rockets and Roman candles to legally be sold in the state. Governor Snyder likely will sign the bill in time for it to become law in 2012. Some Michigan residents already drive to neighboring states to buy the fireworks because they aren't legal at home. Michigan lawmakers say the state could get a boost in jobs and revenues if the fireworks could be sold legally in the state. 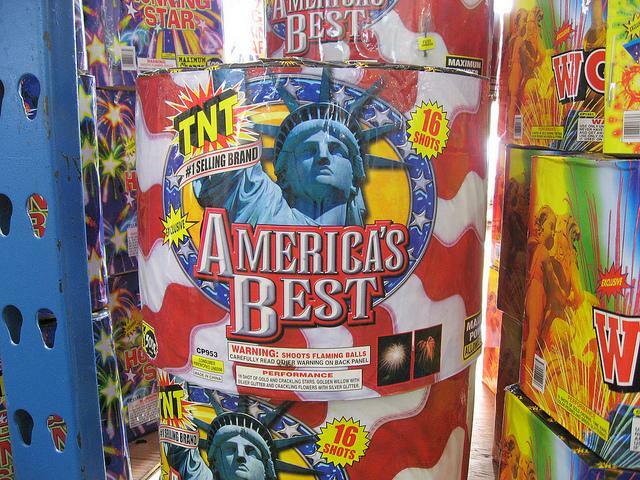 Some groups have safety concerns and say more powerful fireworks will lead to more injuries. Could large, consumer-grade fireworks land in Michigan? Large fireworks might be sold in Michigan before Independence Day next year. That’s if Democratic state Representative Harold Haugh has his way. Haugh has been working on legislation for a couple years that would allow the sale of large, consumer-grade fireworks that are already sold in surrounding states. Consumer-grade fireworks are more powerful than the low-grade fireworks currently available in Michigan, but are less explosive than large pyrotechnic displays. Haugh says selling large fireworks in the state would fit Governor Rick Snyder’s call to make Michigan more friendly to small businesses. He says the potential increased revenue comes from both stores and roadside tents. "The speculation was there could be as many as 200 buildings statewide go up that are going to sell consumer-grade fireworks," said Haugh. "Now with the tent issue, it could be as many as another 400 tents that sell consumer-grade fireworks." Haugh says the additional sales of fireworks could bring in as much as $12 million to the state, and he says the decision to sell large fireworks would be up to local governments. "I mean they own it. It’s not the people of the state of Michigan. It’s not the people up here," said Haugh. "It's the local community that will own the issue of selling consumer-grade fireworks." Opponents say the larger fireworks are not safe and are too noisy. But Haugh says he thinks his proposal is gaining support in the Legislature. He hopes to get the measure approved before the end of the year. More powerful fireworks to be sold in Michigan? Next July 4th, you might find more than just your garden variety sparklers and smoke snakes at Michigan fireworks stands. The Michigan Fireworks Safety Act passed the Michigan House yesterday and moves onto the Michigan Senate. The law will allow people to buy fireworks in a category "that includes aerial devices and other more spectacular devices" without a permit, according to a legislative analysis. The legislation could change the summer routine for state residents who now drive into border states to buy fireworks that aren't legal in Michigan. Some types of bottle rockets and Roman candles are among the fireworks that would become legal if the measure becomes law. "We've come up with a reasonable solution to prevent our residents from going to Ohio, Indiana, Wisconsin and purchasing these consumer-grade fireworks," said Rep. Harold Haugh, a Democrat from Roseville and the bill's sponsor. The state could bring in around $5.5 million annually in sales taxes and fees, according to the legislative analysis of the bill. The potential revenue numbers were derived from similar legislation passed in Indiana in 2006. 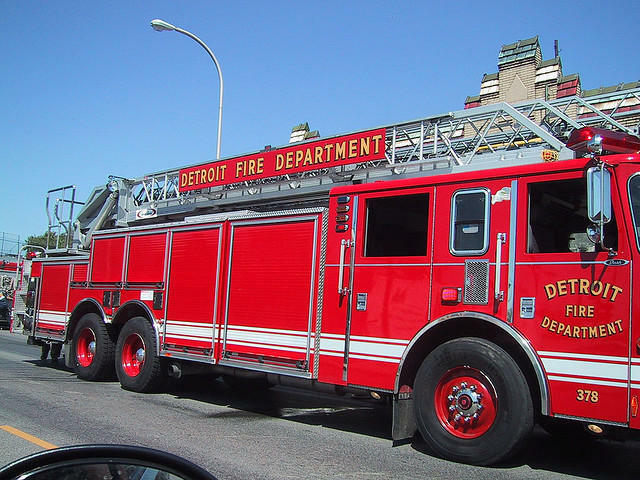 Detroit Mayor Dave Bing has forced the resignations of the city's fire commissioner, James Mack, and its deputy, Seth Doyle. The Mayor did so after hearing about an alleged theft that occurred after a fire official visited a home in Detroit. The Mayor's office said they heard about the alleged theft from media reports. Dan Lijana, with the mayor's office, said the breakdown in communication with the fire department and the concerns over slow response times to emergencies were their reasons for forcing the resignations. "When things aren't working, we will make the moves necessary to protect the services and citizens of the city. We have to peel this onion back and get the problem fixed."